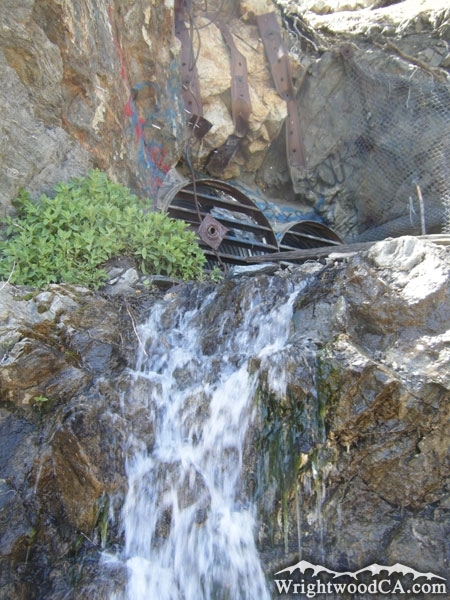 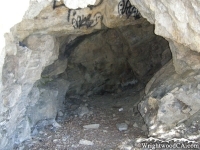 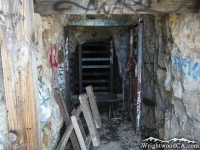 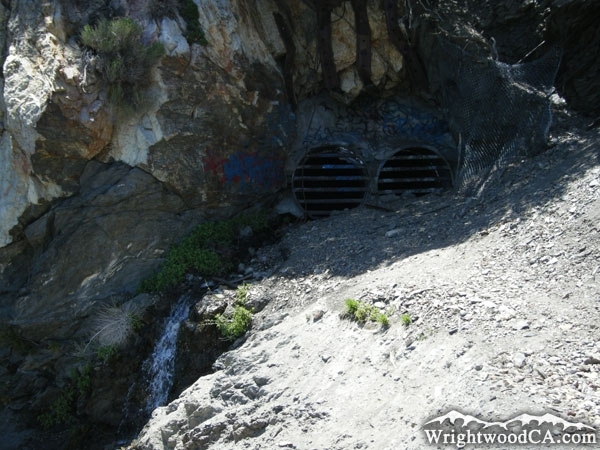 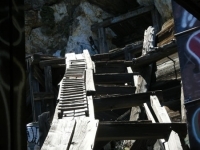 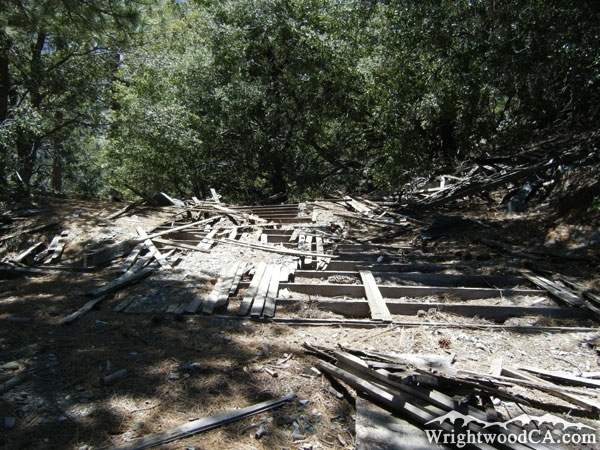 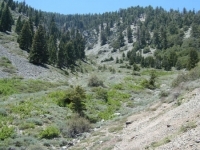 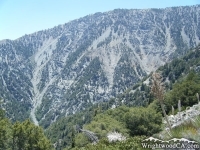 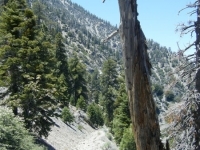 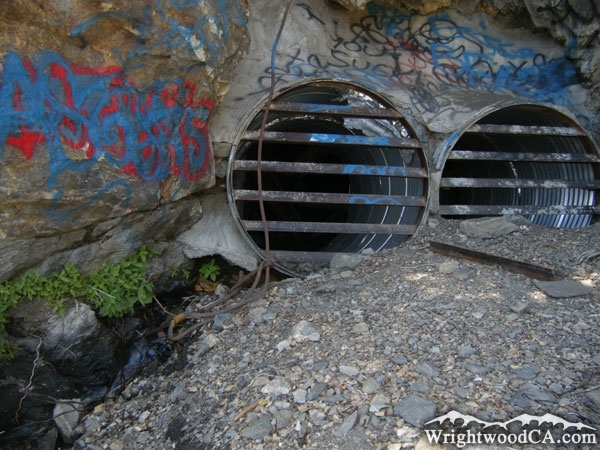 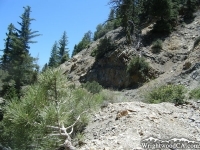 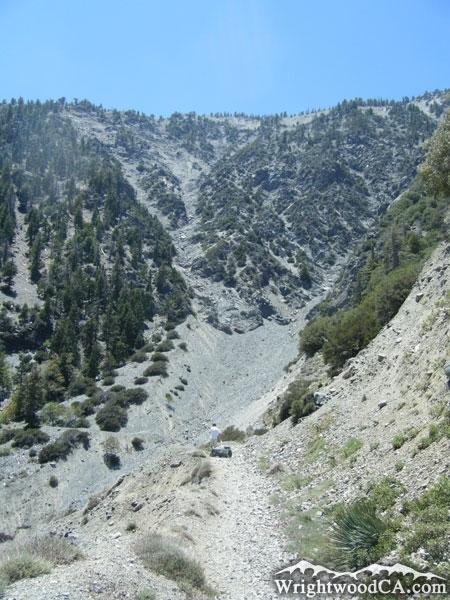 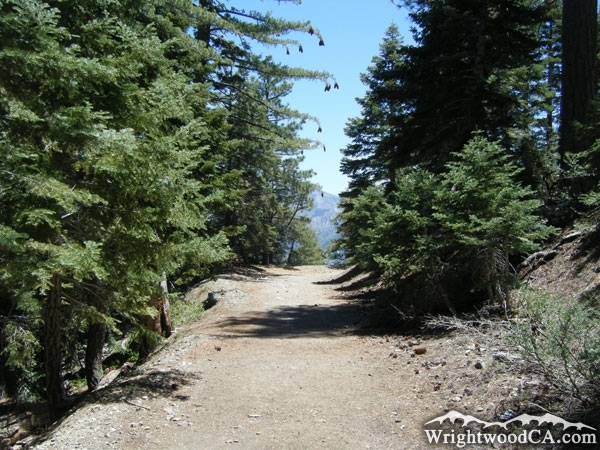 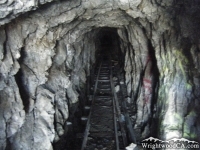 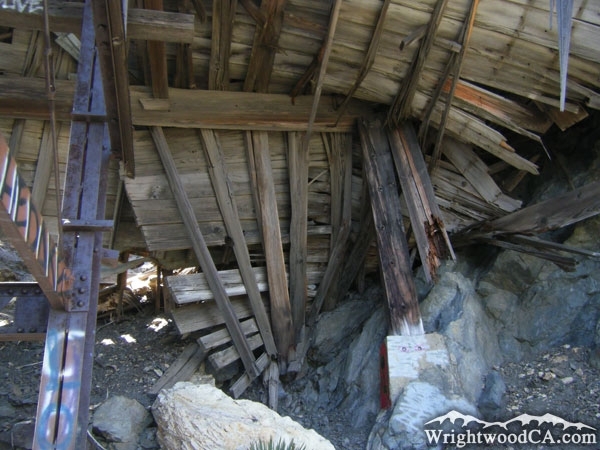 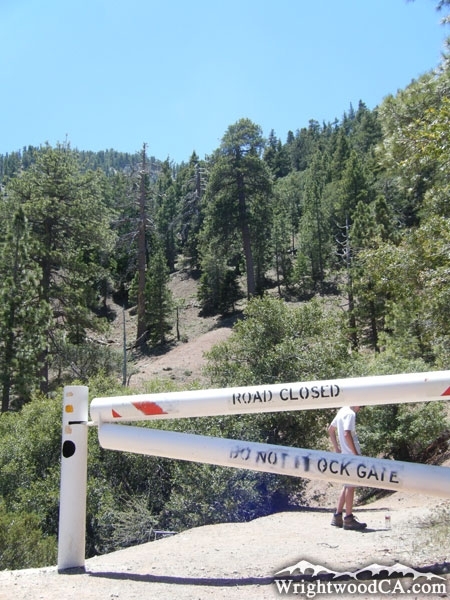 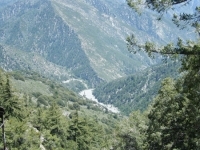 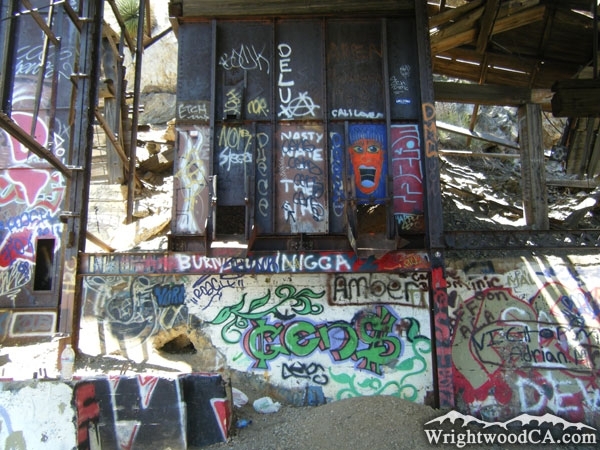 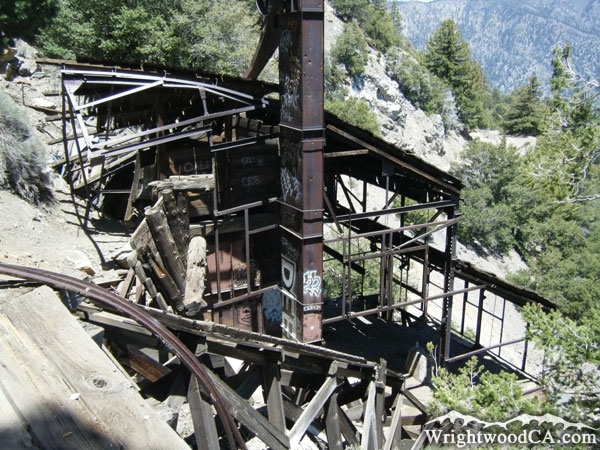 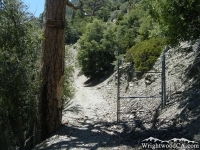 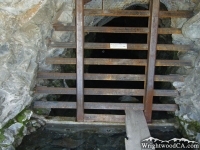 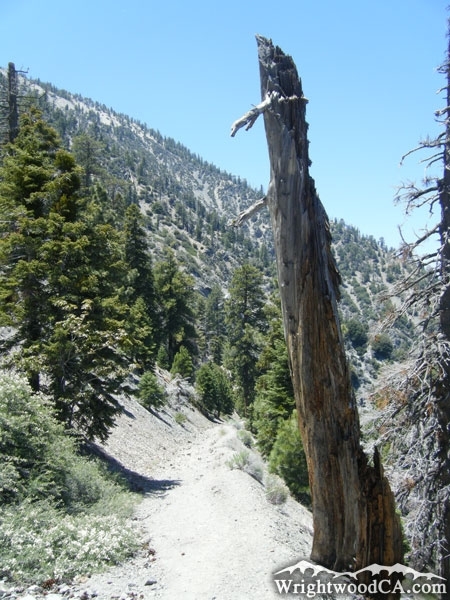 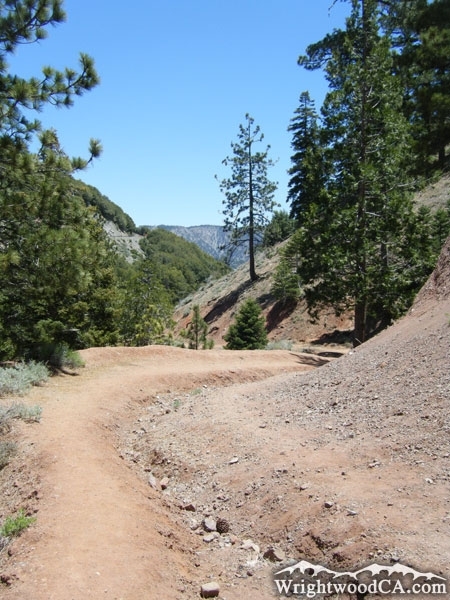 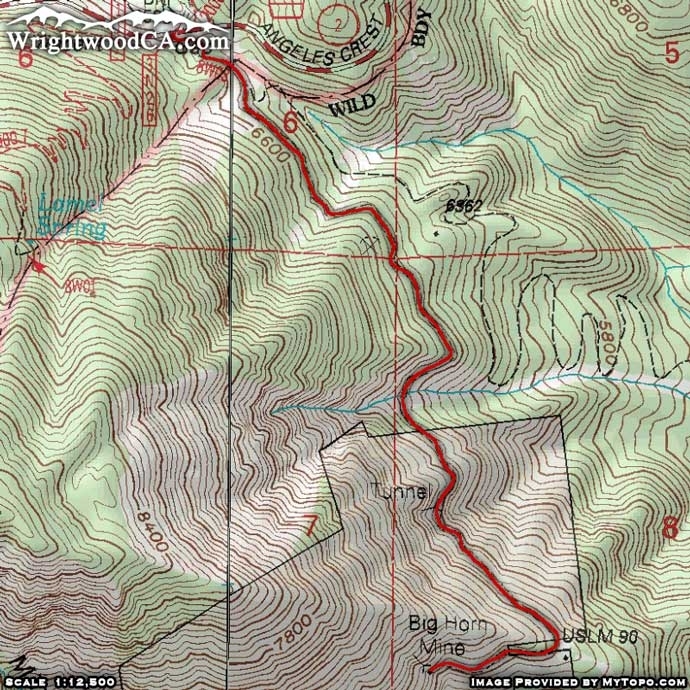 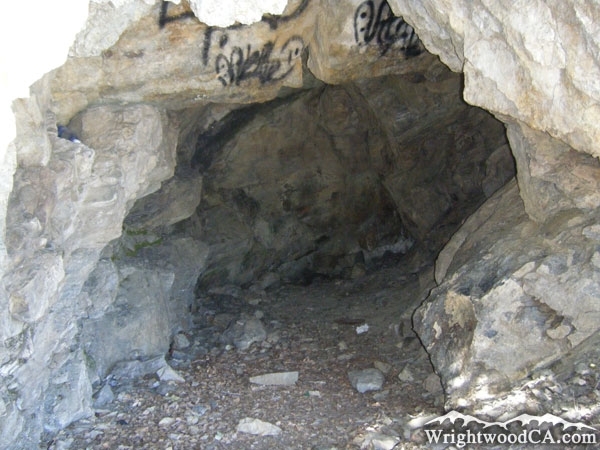 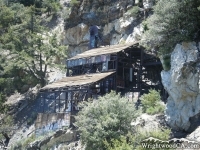 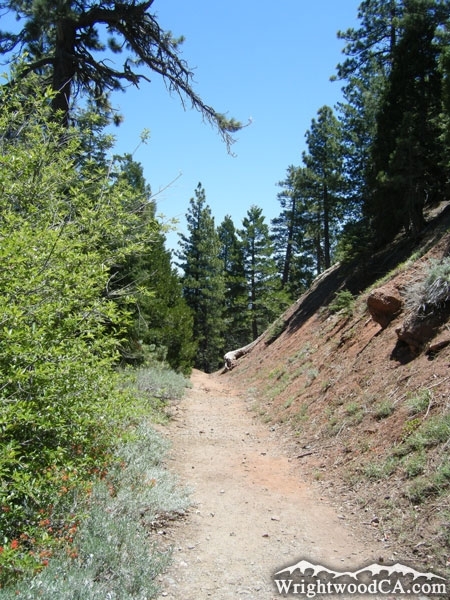 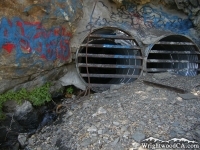 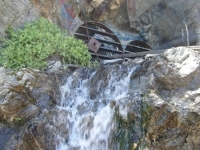 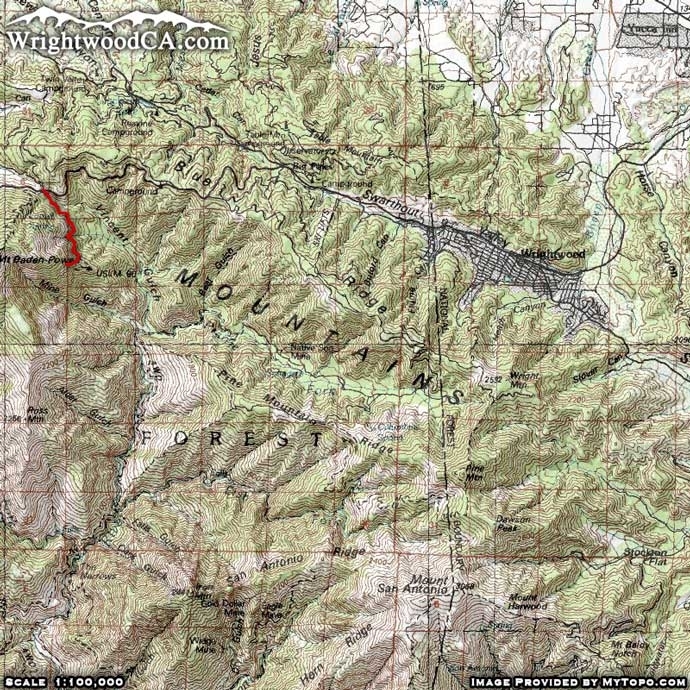 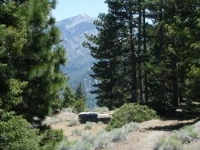 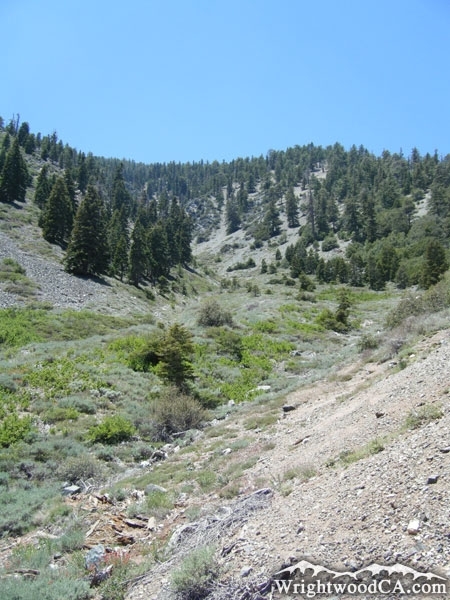 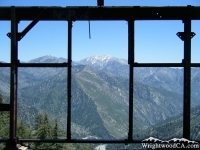 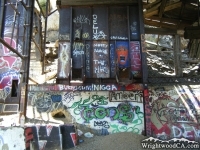 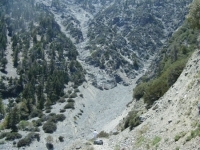 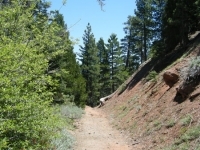 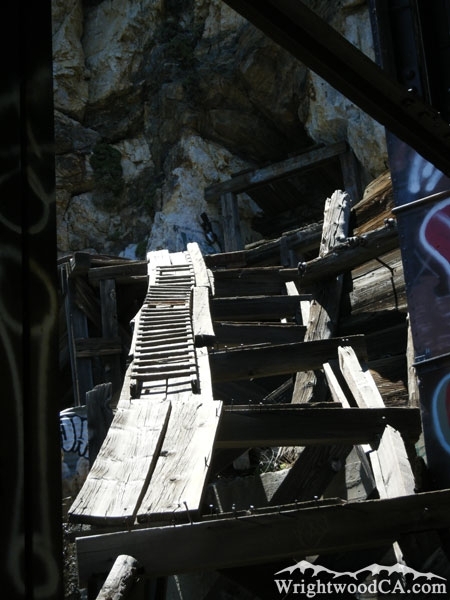 The Bighorn Mine Trail is located south-west of the town of Wrightwood, on the side of Mt Baden Powell. 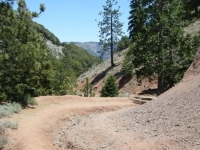 The trail starts in the Vincent Gap Parking lot, along with the Mine Gulch Trail. 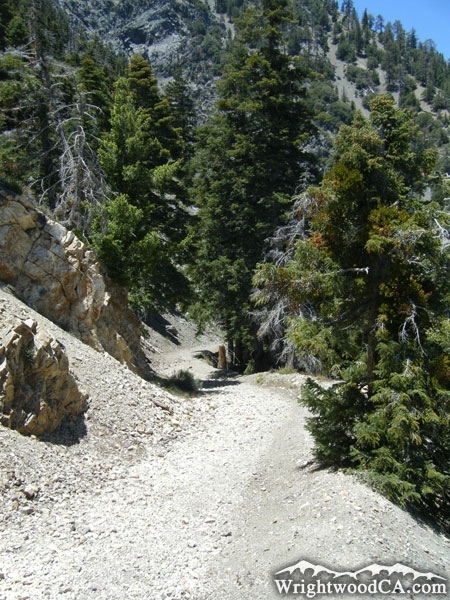 Soon after the start, the Mine Gulch Trail drops down into Vincent Gulch while the Bighorn Mine Trail continues around the side of Mt Baden Powell. 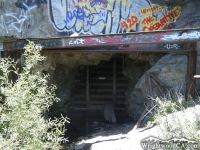 Less than half way through the trail there is a mining tunnel on the side of the mountain, right on the trail. 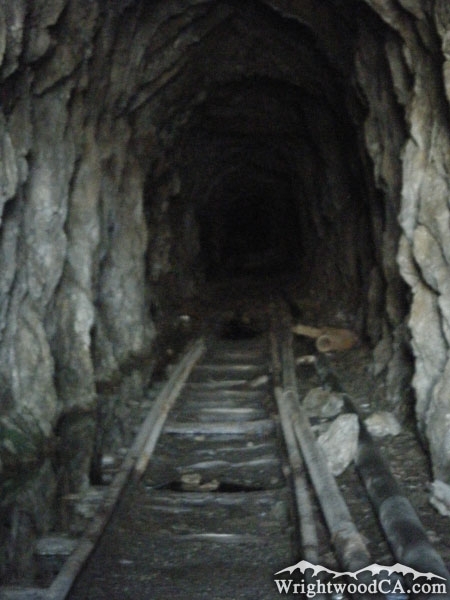 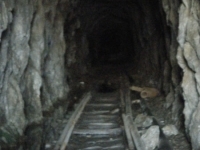 As you continue around the side of the mountain, eventually you will hit the main Bighorn Mine, which has mining structures and tunnels. 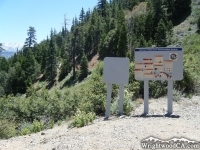 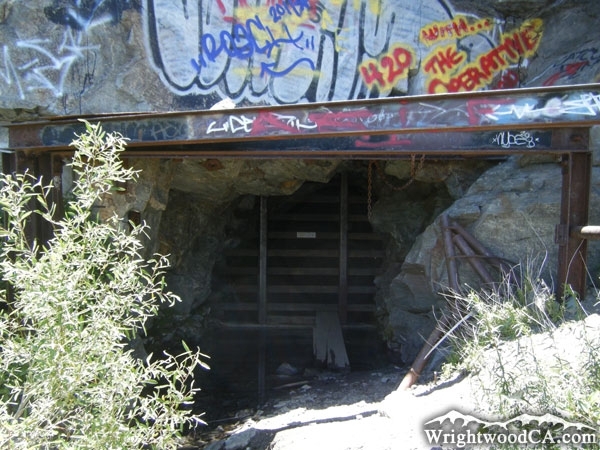 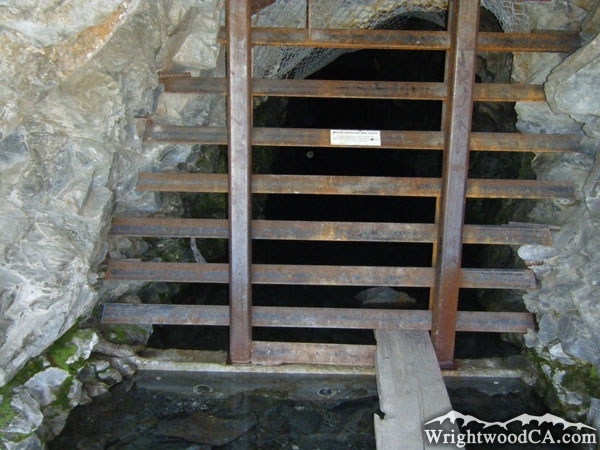 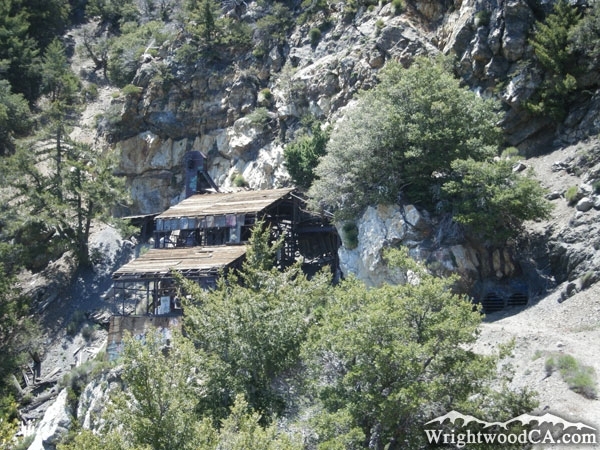 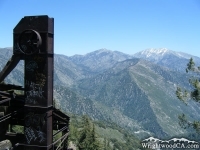 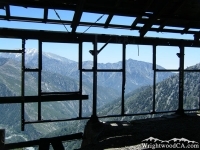 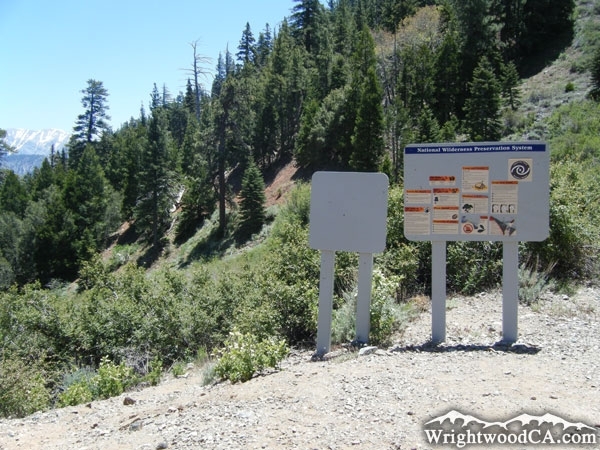 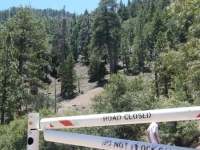 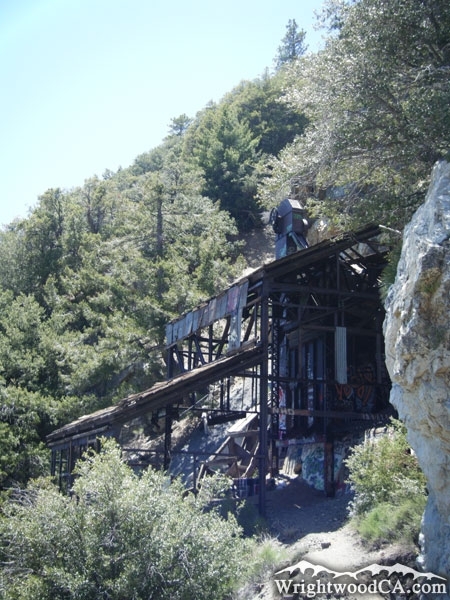 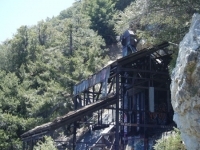 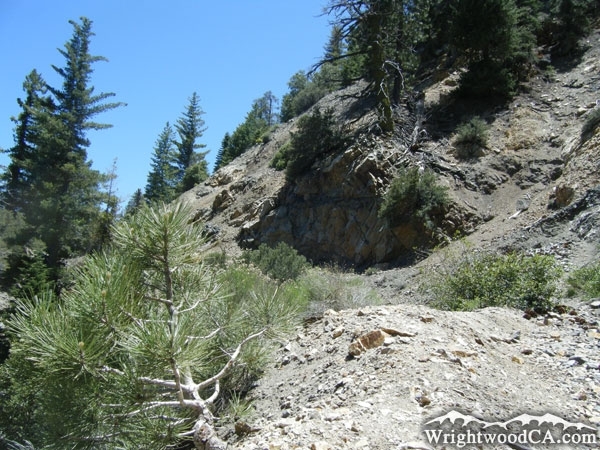 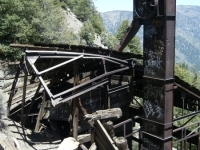 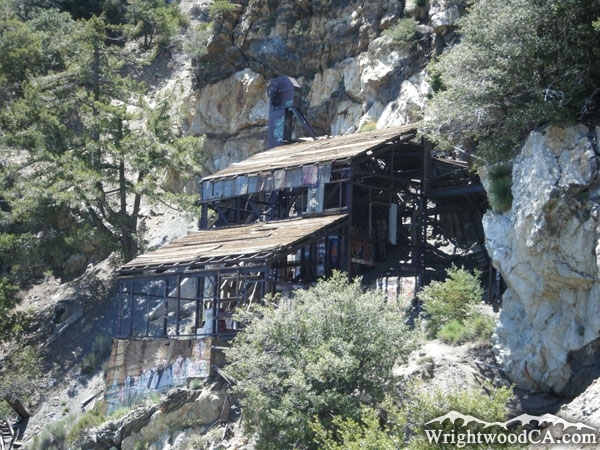 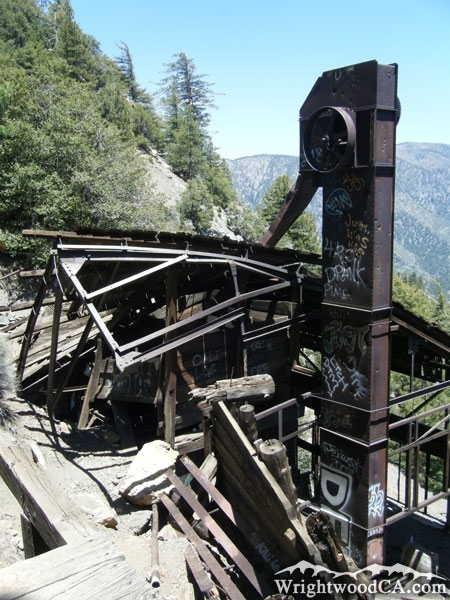 This area is rich in history, as mining played a role in the past of the town of Wrightwood. 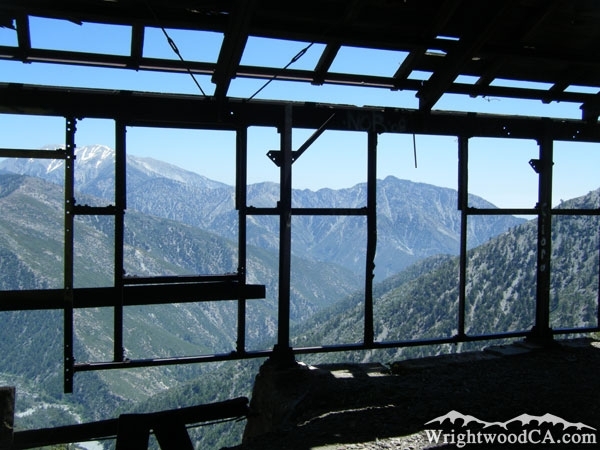 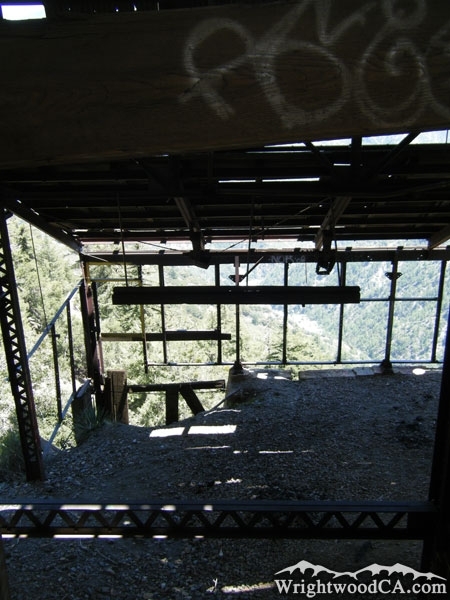 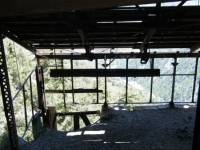 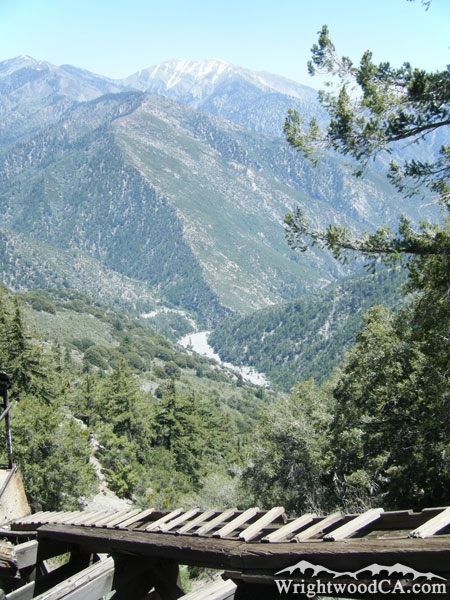 The mine itself is closed off, however the views from this area are amazing as you peer over Mine Gulch, down toward the San Gabriel River Basin (East Fork). 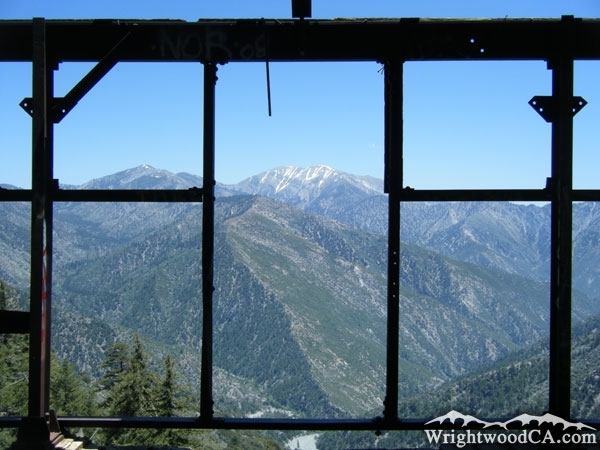 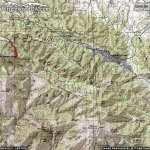 Like most places in the Sheep Mountain Wilderness, you can also see Pine Mountain, Dawson Peak, Mt Baldy, Iron Mountain, Blue Ridge, and Pine Mountain Ridge. Take Hwy 2 westbound from Wrightwood, past Big Pines and up to Inspiration Point. 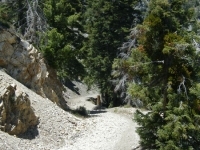 Continue on Hwy 2 from Inspiration Point past Grassy Hollow Visitor's Center and down to the Vincent Gap parking area. 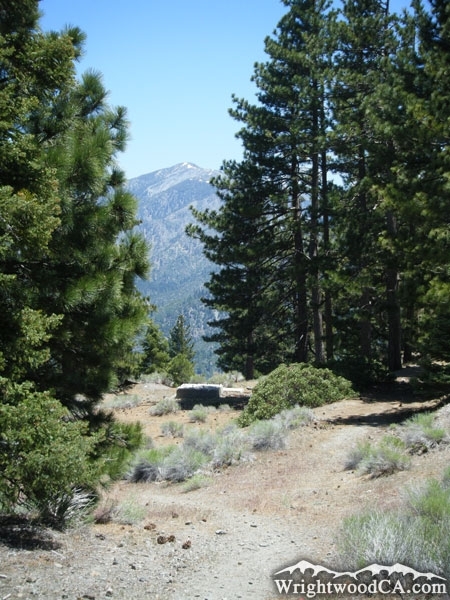 Don't forget to display a National Forest Adventure Pass in the windshield of your vehicle.